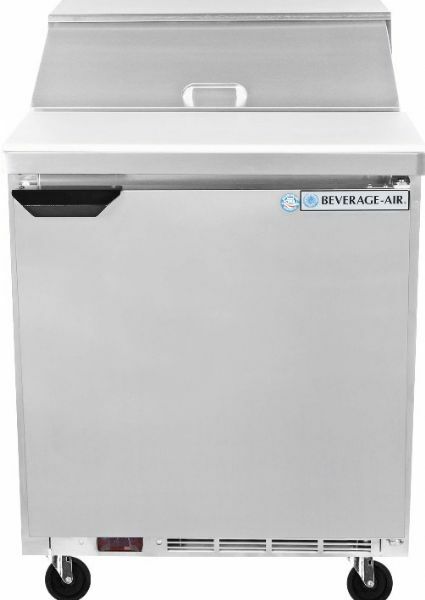 Beverage Air SPE27HC-B Elite Series� - One Door Refrigerated Sandwich Prep Table - 27", 7.3 cu. ft. Capacity, 4 Amps, 60 Hertz, 1 Phase, 115 Voltage, 1/6 HP Horsepower, 1 Number of Doors, 2 Number of Shelves, 8 Pans - 1/6 Size Pan Capacity, 33 - 40 Degrees F Temperature Range, 27" Nominal Width, 27" W x 10" D Cutting Board, 23.06" W x 19" D x 23" H Interior Dimensions, Bottom Mounted Compressor Location, Side / Rear Breathing Compressor Style, Air Cooled Refrigeration, Swing Door Style, Solid Door, Right Hinge Location, Counter Height Style, Standard Top Type, Doors Access, 10" deep cutting board for prep work, Heavy-duty pan supports keep your pans securely in place, Two epoxy-coated wire shelves included for storage base, CFC and HCFC-free foamed-in-place polyurethane insulation, Tested to perform in ambient temperatures of 100 degrees Fahrenheit. 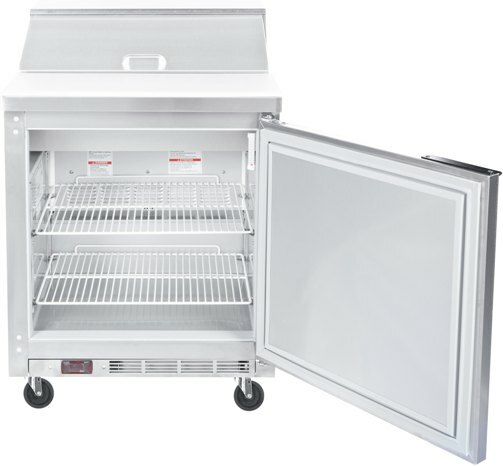 Product Name SPE27HC-B Elite Series� - One Door Refrigerated Sandwich Prep Table - 27"
Built for heavy commercial use, this unit features a stainless steel front, sides, top, and doors. 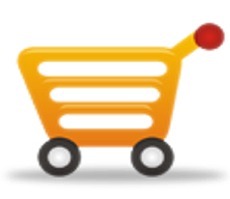 Its interior liner is made of aluminum for exceptional corrosion resistance and protection against rust. 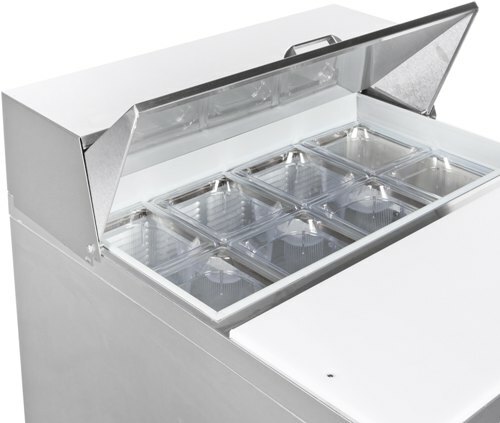 This unit keeps your freshest ingredients nearby and at food-safe holding temperatures so that you can quickly and efficiently serve customers. A 115V electrical connection is required for operation.